The 2015-16 season will mark Daniel Montecinos' 10th year coaching at San Clemente High School. A Triton alum (class of 1999), Montecinos competed in football, basketball and track and field during his high school career. For the past 15 years he has held the record for tackles in a single game at 22. 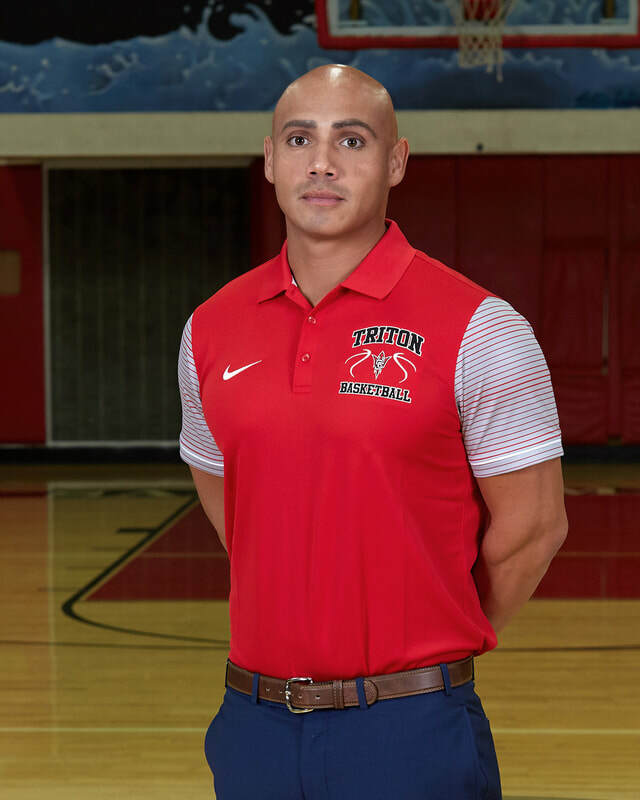 Coach Montecinos attended Saddleback Community College before transferring to the University of Redlands, where he earned his bachelor's degree in psychology and liberal arts in 2005. At home, he is happily married to his Canadian wife, Julie, whom he met while on a two-year holiday in Australia. In addition to his coaching role, Montecinos owns a real estate investment company with his wife, helping families affected by foreclosure. He also has been a certified personal trainer for the past 11 years. Coach Montecinos is excited to be coaching by his brother's side for another competitive season. Since rejoining Oscar in the 2013-14 season, their teams have posted an impressive 45-4 record, which includes two league championships and wins over each of the teams to which they lost. He also has become known for creating impressive posters to share with the team from the many tournament championship photos they have posed for over the past two years.